It is a well known fact, that indoor air pollution is considerably more threatening than outdoor air pollution, given the fact that most of us work in confined spaces, i.e. offices and cubicles. So how does one keep the air pure? Is opening all the windows and doors, for extra ventilation advised? Does it let in more impurities? What is the best way to keep the air in the room clean? Air filters are known to circulate clean air in the room, removing impurities from it. While the technology used varies from filter to filter, when buying air purifiers for home, it is important to note whether the filter uses the HEPA system of filtration. HEPA stands for High Efficiency Particulate Absorber, and it is a standard for air purification. Medical facilities, automobiles, aircrafts and homes use filters that have HEPA filters. Consisting of a mat with randomly arranged fibres made of fibreglass of diameters between 0.5 and 0.2 micrometers, these filters have been designed to combat smaller pollutants and particles that are not effectively removed by other filter systems. These filters are critical, as they prevent the spread of airborne bacterial and viral organisms, thereby nipping infections in the bud. 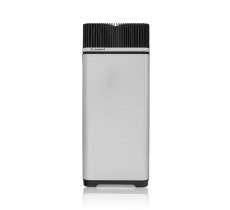 The HEPA filters air purifiers have a very high success rate when it comes to getting rid of impurities present in the air. Usually, filters force air through a screen, which then traps particles. Allergens such as pollen and dust mites, and irritant particles like tobacco smoke get captured in this way. HEPA filters, the best known mechanical filters, capture around 90% of all particles, 0.3 microns or larger in diameter, that happen to enter it. The multi-stage purification system involves removal of large particles, followed by odour, followed by bacteria and other particulates. 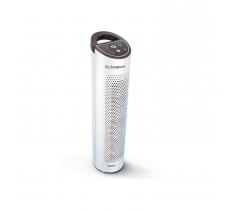 The best place to use a HEPA filter equipped air purifier, would be the room where you spend most of your time, i.e. the bedroom. Clean air is mandatory especially while you’re sleeping, so do not overlook the importance of installing a state of the art air purifier in your bedroom. Sniffling, coughing and having allergies, continuously, for the better part of the year, tends to throw a spanner in the works with regards to productivity. HEPA filters will help to keep the quality of air in your house absolutely pure, so you can bid respiratory issues goodbye. Our country has been topping the pollution index charts, for a while now. Rapid urbanisation, and a burgeoning population has naturally caused overcrowding. The quality of air, consequently, in large Indian cities, has gone down considerably. Keeping this fact in mind, it seems prudent to invest in an air purifier with a HEPA filtration system, to ensure healthy, clean and odour-free air for you and your family.